Really nice day at Churchill Downs on Friday. We had a five-win day out of 9 races. That ups our win percentage for the meet to 33.80%, which is considerably higher than the near .27% win by the favorites this meet. And, it is a long climb north after our less-than-stellar beginning to the meet. Let’s take a look at today’s 11-race card. Along with 10 races that we examine at Belmont Park today — on the huge Belmont Stakes card, which will feature 9 Graded Stakes races on the card, and 6 Grade 1s — we have our hands and minds full today. 1st: 1-3-4-5-7-6…Gray Nile (1) nearly pulled off the win in his first race in about 15 months when he ran a game second here on April 28. Had to force his way in-between horses that day, and showed a lot of courage in nearly picking up his first career win. Moves up a couple of notches in the MC ranks today, but if he can duplicate that effort, he will be mighty tough to beat in this spot. The worry is that he may regress and bounce off that effort. Works just OK since the race. Flight Risk (3) will be getting the saddle for a new barn operation for the first time since being claimed last time out off the Steve Asmussen bunch. Has worked nicely since the purchase and if he benefits from the last run, he may move up today. New barn wins with .31% of newcomers and with .37% of those moving up a notch in the class rankings. Was the beaten favorite last time out, to boot. Bodie Tap (4) drops several notches off a poor performance last time out. Bobbled at the start of that one, and a run never materialized. Did have a nice work here on June 2, and this trainer does hit with .18% off this kind of a layup. Has a shot. I bet the 1 to win/place/show and then box the top 3 in one exacta. 2nd: 4-8-3-1…Shanghai Point (4) gets a drop to a career low level today after running poorly and out of gas in the June 2 run at Churchill Downs. Pressed the pace that day, but didn’t last long at the top of the stretch. Yet, that was the first race since September of last year, when he broke his maiden in the slop at Monmouth Park. Gets the blinkers for the first time today from a trainer who scores with .35% of those getting the equipment change for the first time. Should show more stamina today. Menacing (8) plummets to near the bottom after running for $40,000 price tag last time out. This one really has never been a factor or close to it at the end of the any of the previous 7 races. But may improve with the added distance and the plunge. Cofveve (3) ran a nice second on the grass last time out. Shifts back to the dirt today, and the trainer hits with .14% of those making this surface switch. Maybe losing the blinkers helped some last time, too. Has a shot in this group. I bet the 4-3 across the board and then box the top 3 in the exacta. Tread lightly. 3rd: 5-1-3-4-2-6-7…Honor Way (5) drops into the claiming ranks for the first time since she was purchased out of them at Saratoga last August. Since then she has won a couple of times for trainer Tom Amoss, including the last time out at Indy in April. Had a super nice work here on May 9, firing a bullet. Picks up a top rider, to boot. Looks salty here. Big Red Seven (1) drops down after five straight finishes in the money. Has hit the board in 7 of the last 8. Tough luck seconds in the last two, but gets a new rider for this one today. Should be a factor late, with clear sailing. Factory of Faith (3) gets the blinkers back on today after not wearing them for awhile. The trainer hits with .15% of those getting the equipment returned. Turns back in distance, and that should help this one, too. And, gets back to the dirt, where she has done all of her effective running. Can’t dismiss. I bet the 5 to win/place/show and then box the top 3 numbers in the exacta. 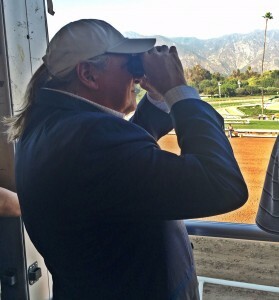 4th: 3-5-4-2-6-1…My first “dot” of the day comes right here on a horse that I have touted highly in the recent weeks. Zipp On By (3) gets the drop into the claiming ranks today, though, and that may be enough to get this 4YO gelding over the hump. Had back to back seconds in December and in January against much tougher competition. But faded off the map and charts in the last two, when the running got late. The drop today should help with that stamina concern. Super work at Keeneland on June 3. My first Best Bet of the Day. Dig Charlie Dig (5) ran a solid second her on May 20, while bet down to the favorite status. Trainer hits with .19% of those returning from that situation for the first time, and this one keeps the same top rider aboard for this tilt. He could be better with the second trip off a layup, although the trainer’s numbers are not real strong in this category (.08%). Dixie Fever (4) won on debut against MSW company in impressive fashion. Came back to fire a bit of a dud when facing winners for the first time last out. Drops into the claiming ranks today for the first time and a top barn hits with .19% of those kind. Gets back to the dirt, where he really belongs, as well. Watch out for this one. I bet the 3 to win/place/show and then key the 3 over/under all the other numbers. I double up on a 3-4 box. 5th: 5-3-2-1-7…Netas (5) will make his second run since a layoff from January to May. The first run was eventful, and he had to force his way through a lot of traffic to even get a glimpse of where the fire was. Once through, he made a nice little move, but it was too late to make up much ground. Goes a little farther today, and that should help. Trainer switches to a new rider, and the work on June 2 was super nice here. Looks primed for this one. One Fine Ride (3) returns to action after losing by a neck in the last effort at this same level. Was 4th that day, but you could have thrown a blanket over all of them at the wire. This will be the third start today off a layup, and the trainer does score with .22% of those running in the claiming ranks. Nice work here on June 3. Gets the meet’s second leading rider to stick. Shakurr (2) is an Illinois-bred, but he has run well here in open company before. Was beaten the same neck as the one above in the last race. Was second at Oaklawn Park three back. Trainer is having a nice meet here (.22% win rate), and despite the 1 win in 18 starts, this one is normally in the hunt late. I bet the 5 to win/place/show and then box the top 3 in one exacta. 6th: 7-6-1-5-4-3-8…Starving Artist (7) was nowhere to be found at the end of the last try at Keeneland on April 26. Seemingly tired late going 11/8 miles over a yielding grass course. I throw that one out completely, with a return to firm ground today. Had hit the board in the previous 4 outs on better ground and has a 1-1-3 record in just 8 starts — most coming against tougher. The blinkers come off today and the trainer hits with .40% out of 43 horses to run losing that equipment. Strong statistic right there. Dam was a Stakes winner, who has 1 winner from the first two starters already. A “dot” goes next to this horse’s name. Cheeky Cherub (6) broke her maiden last time out when stretching out to two turns and getting the grass for the very first time. She seemed to like both of those conditions, and now returns to a sod race. Great work here on May 29, since the win. Pulled away in that MSW win, when getting the blinkers for the first time, too. This one looks solid to repeat, even facing winners for the first time. Necessary (1) broke the maiden last time out, too, when she got to try the grass for the first time. With her breeding, out of a Dynaformer mare, she should have relished a move over to the grass, and she did. Trainer and jockey have teamed up for a 3-5-1 record in 12 starts over the last two weeks. That trend may continue to be strong here. I bet the 7 to win/place/show and then box the top 3 numbers in one exacta. I key the top 3 over the rest in a smaller version. 7th: 8-1-2-4-7-5…Chuck’s Dream (8) gets a “dot” in this spot, too. This 3YO gelding has flashed plenty of speed in the last two races, for sure. But he has been unable to sustain those early moves to the wire. Today, he will be making his second start since a layup, and should benefit from the last race. If he moves forward at all — and the bullet works here should indicate that he can — he will be mighty tough in this spot. The winner two back, Telekinesis, ran a tough-beat second to My Boy Jack in the Lexington Stakes. Watch out here. Bueno Bueno Bueno (1) ran a nice second last time out, as well, and he should improve mightily for a trainer that normally takes his time with youngsters getting to the races. This one had a super work at Keeneland on June 3 after the last race. This one cost $200,000 at as Keeneland September Yearling and looks to improve a notch today. Baron of the Bluegrass (2) is a first time starter for a trainer who knows what he is doing and knows how to spot them expertly. The barn hits with .17% of first time starters and this gelding comes from a dam who has 4 winners from 8 starters to date. Works have been solid, and he gets a nice rider, too. I use at 12-1 ML odds. I bet the 8-1 across the board and then box those two solidly in the exacta. I key the 8-1 over the 2-4-7-5 in a smaller version, as well. 8th: 5-3-6-2-1A-7…Win With Pride (5) is another talented sort that hails from the barn of trainer Ian Wilkes, who could have a monster day at both Belmont and Churchill Downs on this Saturday. This one will be getting his second start off a layoff, and the trainer hits with .12% of those kind. He won the last out in the higher end claiming ranks, and he did so convincingly. Has returned to work very well on the training center surface over at Skylight. This one cost $450,000 as a Keeneland September Yearling in 2015. May be ready to take off now. Has two wins in just 5 starts for this barn. British Humor (3) lost by a neck in tough allowance company last time out, but the preferred choice already has three wins in his holster and this one just has the one. Must have liked the switch back to the dirt last time, and should prefer the cut back in distance for this one, too. Long Gray Line (6) has race only twice, to date. Has a win and a second in the resume, but will have to step it up big time to face winners for the first time after graduating from the MCL ranks last time out. Nice work here on May 28, a month after the win. and the cutback in distance should be no issue for this one either. Like the 10-1 ML odds. I bet the 5 to win/place/show and then key the 5 over/under all the other numbers. 9th: 5-9-7-3-1-8-2…I key on the top 2 numbers in this sequence. Golden Days (5) is yet another #5 that I like today. This one won the first two career starts at the same 5.5-furlong sprint distance on the grass. Went up to Aqueduct to try Stakes company last time out and ran very well, losing by only 11/4-lengths. Now, she gets back to the allowance level for a trainer who this with .29% of those returning off this short layoff, and with .29% of those running on the sod. The trainer/jockey have teamed up to put up a 3-1-1 record over the last six starts together in the last two weeks. Take note. Gagaoveryou (9) is 2-1 ML odds, and lshould be after putting up three straight wins and a record of 10-5-5 in 29 lifetime starts. At this specialty field of study, she has a record of 8-2-4 in 16 starts. Wow. Big time work here on May 21, when she fired a bullet to lead a field of 51 to work that distance on that date. The one to beat. Bowie (7) caught a muddy dirt track after the race was forced off the grass here on May 17. Before that, this one had run five in a row in sunny Southern California. She held her own, too, with a lot of speed to burn. Has enough back class to call upon to make some noise with this talented group. I bet the 5 across the board and then box the top two numbers solidly in one exacta. I key the top 2 numbers over the rest in a smaller version. 10th: 1-6-3-4-5…I key on the top 2 numbers in this grouping, as well. Belles Orb (1) won the last time out to give her three wins in the first six starts. Comes right back at the same level today, and no reason to believe that she can’t duplicate that feat. The trainer has a .50% rate of repeating at the claiming level with 4 wins in 8 starts and is having a super meet here with .42% winners out of 24 to race under the Twin Spires. This one likes to close, and will need some racing room. But has faced tougher in the past. A definite claim prospect in this spot. Breaking Bread (6) is dropping into the claiming ranks for the first time ever, and the trainer hits with .23% of those making the plunge. Had a nice work here on May 3 before the last race, but did hit the board in three of the last four against much tougher competition. Gets a top rider aboard. Has a record of 2-2-4 in just 12 starts, and looks to fit very well in this group. I bet the 1-6 across the board and then box those two solidly in the exacta. I key them over the rest of the numbers in a smaller version. 11th: 1-3-11-10-4-8-9-5-6…G3 Mint Julep Stakes…Res Ipsa (1) is another that comes from the barn of Ian Wilkes, and this 5YO mare absolutely loves the sod at Churchill Downs. Despite the last effort in the G2 Distaff Turf Mile here on Derby Day, when she faded to finish 9th out of a stellar field against many of whom will be on full display at Belmont Park today, this daughter of English Channel has two wins and two thirds in just 5 starts over this grass course. She has a 2-1-3 record in only 7 starts at this distance. And, two starts back she nearly defeated Lull — another talented one who will be running up at Belmont Park today — just two back. Lost that one by a stinking nose. Has been working lights out since the last race, and I think you can expect a huge improvement today. Before the last race, she had three wins and that nose defeat in the last five starts. Lovely Bernadette (3) is another who likes the grass here at Churchill Downs. She has raced over it twice and won both of them, including the G2 Mrs. Revere here last November. Since that winning effort, though, she has made two starts this year and has not been close in either one. Now, she gets a new trainer for the first time. And, the new barn operator hits with .11% of newcomers. Super training session here on June 2. She may be ready to return to normal. Victory to Victory (11) and Inveniam Viam (10), shifted to the barn of my main man Buff Bradley since her last run at the Fair Grounds back in March, both have a shot in this one, too. I bet the 1-3 across the board and then box those two in one exacta. I key the 1-3 over/under the 11-10 in another two exactas. I key the top four numbers over the rest in a much smaller version.